Flash Sales – Worth the hype or too much trouble? The clock starts ticking closer to 12PM on the sale day and thousands of customers login to their accounts and get ready to finally buy that shiny new smartphone. As soon as it hits 12PM on the clock, customers frantically hit the “Buy” button and choose the variant they want. Then begins the wait for a minute or two to determine whether they were successful in their latest attempt to buy the smartphone. 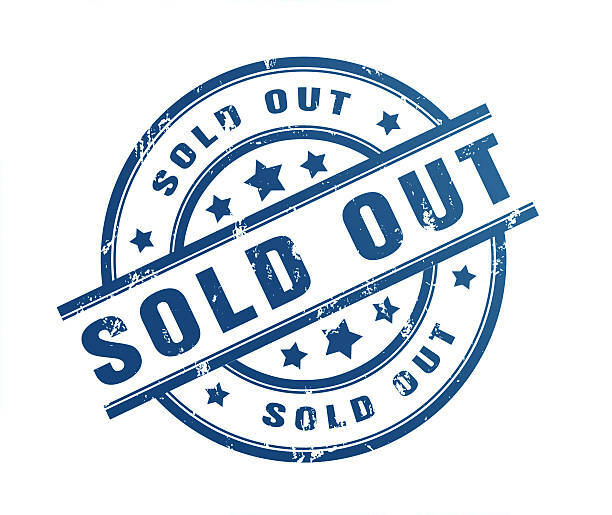 More often than not, many customers are greeted by a “Sold Out” banner, resulting in a lot of heartburn and wastage of time. Many of these unsuccessful customers resign themselves to the belief that they will try to buy in the next sale. And speaking from experience, the success rates are not nearly good enough. The question that arises then is, are flash sales worth the hype or are they just too much trouble? In this post, I try to understand the problems that these flash sales are causing, ranging from customer distrust to loss of sales. But before we get into those problems, let’s identify why some companies and online retailers use the flash sales model in the first place. Flash sales have proven to increase customer interest in a product, especially when either the company is new, or when the product itself has little publicity. Flash sales creates an impression of the product being very popular and therefore, in great demand. This convinces prospective customers to actually buy the product instead of evaluating other options. Several retailers have implemented flash sales under various names, with these sales often lasting anywhere between a few minutes to a few hours, depending on the value of the product and the amount of discount being offered. However, the Flash Sales we’re talking about are drastically different. The price is fixed upfront, and the sales are announced beforehand. But unlike other retailers’ sales, these flash sales almost always last for a couple of seconds, with the entire inventory seemingly going out of stock in 2-3 seconds. This has often caused a lot of confusion and unsuspecting customers end up believing that the product is extremely popular and in very high demand. In the first few weeks, scarcity of stock does make sense. However, when these flash sales last for months at a stretch from the launch date of the product, customers end up being disinterested and start looking for other options. This becomes even more troublesome when companies resort to these flash sales for almost every product launched in the country, ending up angering quite a few customers in the process. There can be a few aspects at play here, and not all of them are necessarily an evil marketing tactic from the company’s side. Let’s take a look at the factors that motivate a company to use a flash sales model instead of a regular one. Using flash sales, companies try to lure in customers who are still on the edge when it comes to deciding on their purchase. With the timer closing down quickly, many customers end up deciding in favour of the smartphone and try to purchase it during the flash sale. Whether or not they actually end up purchasing the phone successfully is a different matter. By creating a sense of urgency and pushing customers towards their smartphone, companies ensure they have captured a customer and their competitor has lost a prospective sale. Companies sometimes end up manufacturing more smartphones than the demand, resulting in an increase in storage costs and a higher opportunity cost. This works out okay for companies that charge a healthy margin on their smartphones, but for companies that work on razor thin margins, saving up on component and storage costs can often be the difference between breaking even or making a thin profit, and making losses. A customer who is able to purchase a high value for money smartphone during a flash sale will often end up being a loyal customer for the company. As such, these customers tend to be vocal in their support for the company and the smartphone, and the word of mouth publicity they generate can be crucial. Some of the highly popular smartphones in the last two to three years in India have succeeded to some extent due to this word of mouth publicity. So, this brings us to the core issue at hand – are flash sales worth the hype or are they too much trouble? The side-effects of flash sales have mostly been customer distrust and frustration. An unsatisfied customer can often end up negatively influencing many other prospective customers, leading to wider discontent with the brand’s sales strategy. While companies can often push customers towards their smartphones using the flash sales method, unsuccessful customers can often end up distrusting these companies. Whether or not this is an important factor for these companies depends on their research. Artificial scarcity of a very popular product in the market almost always leads to black-marketers selling these phones unofficially at high premiums. An average end customer may often find himself paying these illegal high prices just to buy the smartphone. Flash sales can be a great way to generate interest in a product – this is especially useful if it is a good value for money product. Customers often end up trying to buy the product for a few weeks before they are successful, and as such, can end up becoming loyal fans of the company. While there are a lot of positives for these flash sales, there are side-effects too. Unsuccessful customers can often end up distrusting the company and spreading negative information, which can lead to bad publicity for the company.